Besides introducing new animojis and photo effects Apple’s also brought personal avatars to Messages. The new avatars are called Memojis, and I am still dead from that name. Memojis are kind of like Bitmoji if they’re weren’t ridiculous, or like Miis from Nintendo if they were prettier. Or like Samsung’s animated avatars if they were actually used by more than five people. Memojis are essentially customizable animojis. You create a little cute avatar of yourself that then maps facial expressions using the iPhone X’s True Depth camera module. They’re super cartoonish, but distinctive from all the animated avatars you’ve used before. Apple claims they’re extremely customizable, allowing you to pinpoint the right shade of color for you hair, instead of choosing from, like, five colors. 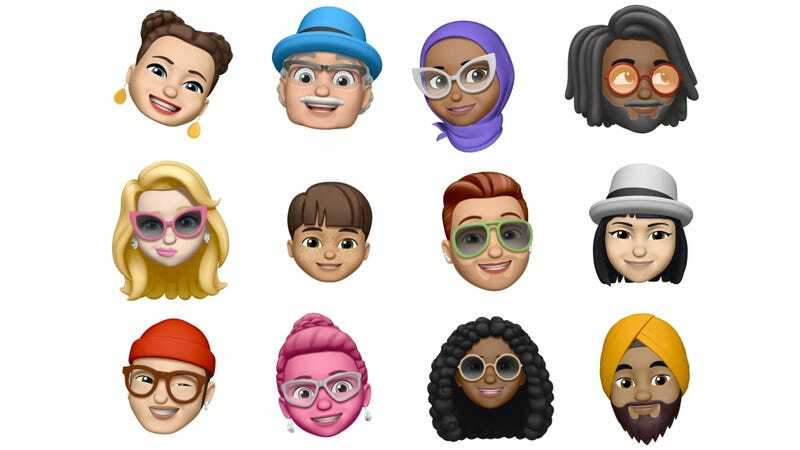 We only saw a brief demo here at WWDC, but it does appear that Memojis will have a whole slew of hair styles and accessories as well. Notably not customizable is the jawline of the characters. At least from the demo displayed. So square jawed folks are about to look a lot more child-like. As mentioned above, the Memoji isn’t the only new animoji. Apple’s also added a tiger, ghost, koala, and T-Rex. And there’s a new feature that let’s you to essentially convert your head into an animoji now in Facetime. Animojis also now work in the camera app. Like Snapchat, but native. This is where animojis actually get exciting. Because let’s face it. No one really uses animojis after, like, that first week with your new phone. Recording a dopey video message isn’t a natural way to communicate. But putting an animoji on your face when you’re FaceTiming with your significant other? That’s something I will absolutely use when I look terrible. All these new animoji features will be included with iOS 12 when it launches later this year. They will never, ever, replace Bitmoji in my heart.